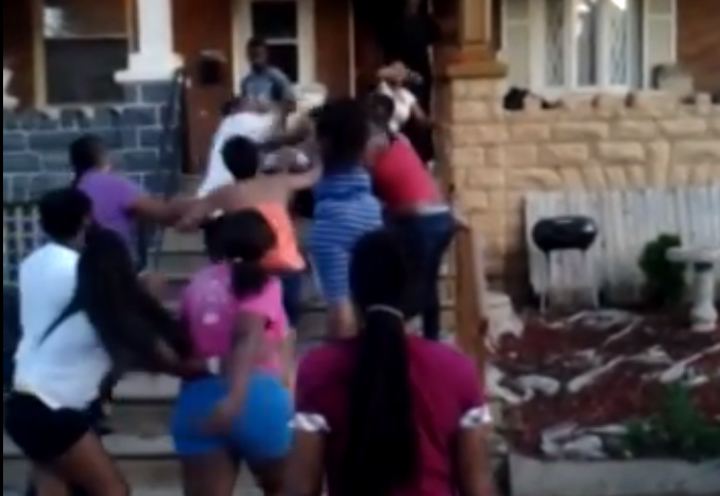 This is just a full-on West Philly stoop brawl, yo. Right around the 1:12 mark, some dude re-materializes outta nowhere and pow. An authority figure ain’t far behind. Around 2:43, a lady behind the camera mentions that man’s teeth were knocked out (black shirt with the white sleeves, whose initial punch absorption gets overshadowed by the ladies). All of the teeth? Unclear.